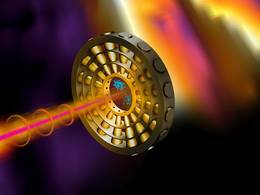 Free-electron lasers (FELs) generate extremely short and intense X-ray flashes. Researchers can use these flashes to resolve structures with diameters on the scale of hydrogen atoms. They can thus image biomolecules in extremely high resolution to provide completely new insights into the nano-cosmos of nature. When two such flashes are fired at a sample in rapid succession, information even about the structural changes during a reaction are returned. The first pulse triggers the reaction, while the second laser beam measures changes in the structure caused by the reaction. But the technology has a catch: The temporal progression of the intensity and the duration of the X-ray flashes vary from flash to flash. The results consequently remain blurry. An international team led by physicists at the Technical University of Munich (TUM) has now found a solution: Using a circularly polarized infrared laser and a ring of 16 detectors, they can precisely measure the temporal progression and energy of each pulse, making the results obtained from measurements with different pulses comparable. "An attosecond is the billionth part of a billionth of a second, or in other words, an attosecond is to a second as a second is to the age of the universe," says Reinhard Kienberger, professor of laser and X-ray physics at the TU Munich. "But the energetic changes in a molecule during a reaction are so miniscule and fast that we can only see something with such extremely short pulses." 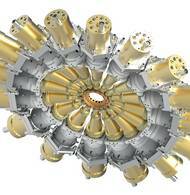 In their experiment, the research team used X-ray flashes from the Linac Coherent Light Source in Menlo Parc (USA). In the sample chamber, they shoot out electrons from neon atoms. If these electrons coincide with an infrared light pulse, they are accelerated or decelerated by its electric field, depending on the field strength of the light pulse when the electron is produced. The circular polarization of the infrared pulse imparts a direction on the electron, as well. 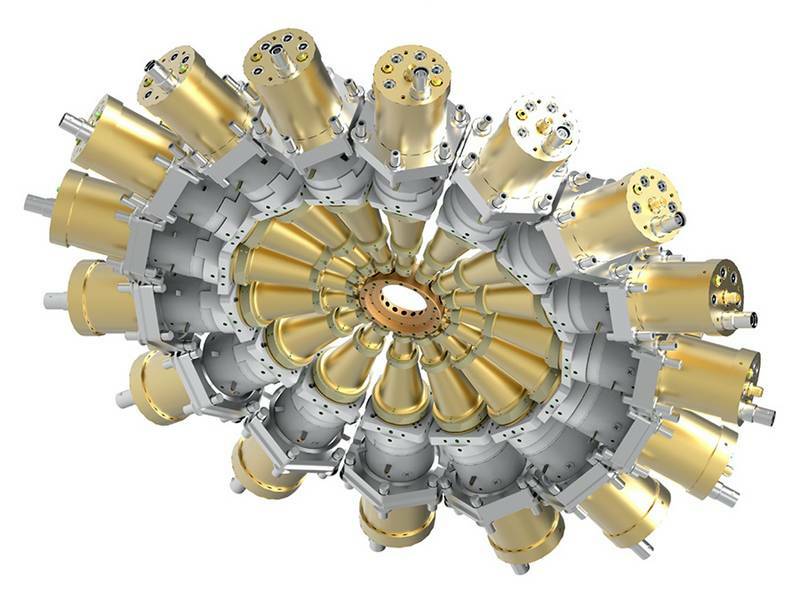 With a ring of 16 detectors, the energy and duration of the original X-ray pulse can be determined with attosecond accuracy as on the dial of a clock. Getting the information on both the energy distribution and the temporal pulse structure should allow in the future to address individual reaction sites in more complicated molecules specifically and to track their influence on the changes during the reaction in real time. "This technique can also be used to drive the development of FELs themselves," says Wolfram Helml, head of the research team. "We get immediate feedback on the pulse structure while the FEL is tuned. 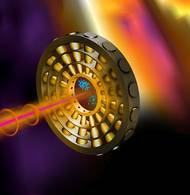 This allows us to generate specific X-ray flashes with very specific durations or energetic properties." 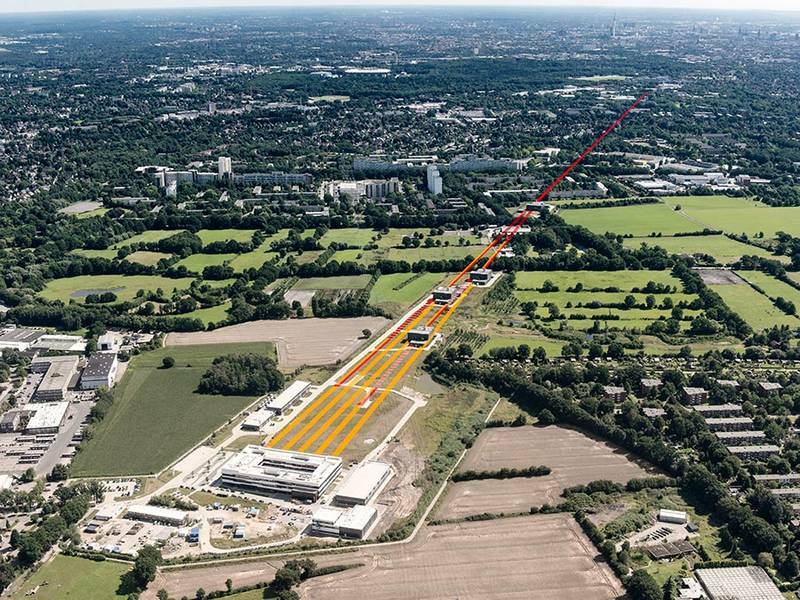 The new technology is particularly interesting for research work at the new European X-ray Free Electron Laser (Eu-XFEL) in Hamburg, because, unlike other techniques, it can also be used for measurements utilizing the high repetition rates that this state-of-the-art facility provides. 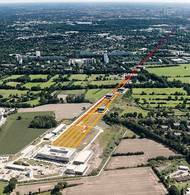 This technology might also be deployed within the framework of the recently established Center for Advanced Laser Applications (CALA) in Garching near Munich, where laser-based X-ray technology is to be used to develop methodologies for the early detection and treatment of chronic diseases. The work was funded by the German Research Foundation (DFG) as part of the Cluster of Excellence Munich Center for Advanced Photonics (MAP), by the Bavarian-California University Center (BaCaTeC), by the European Community within the framework of the Laserlab-Europe IV initiative of the European XFEL Consolidator Grants of the European Research Council and a Marie Curie Scholarship, by the US Department of Energy (DOE), the Spanish Ministerio de Economia, Industria y Competividad (MINECO), the Swiss National Center of Competence in Research, Molecular Ultrafast Science and Technology (NCCR-MUST), the Volkswagen Foundation and through a Peter Paul Ewald scholarship. Participants in the work on this publication were scientists from the Technical University of Munich and the LMU Munich, the SLAC National Accelerator Laboratory (USA), the German Electron Synchrotron (DESY), the European X-ray Free-Electron Laser (Eu-XFEL), the University of Kassel, the University of Gothenburg (Sweden), the University of Bern (Switzerland), the University of Colorado at Boulder (USA), the Basque University in San Sebastian (Spain) and the Lomonossov University Moscow (Russia).